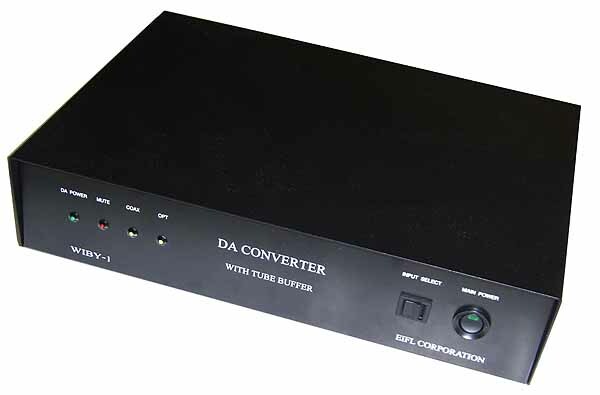 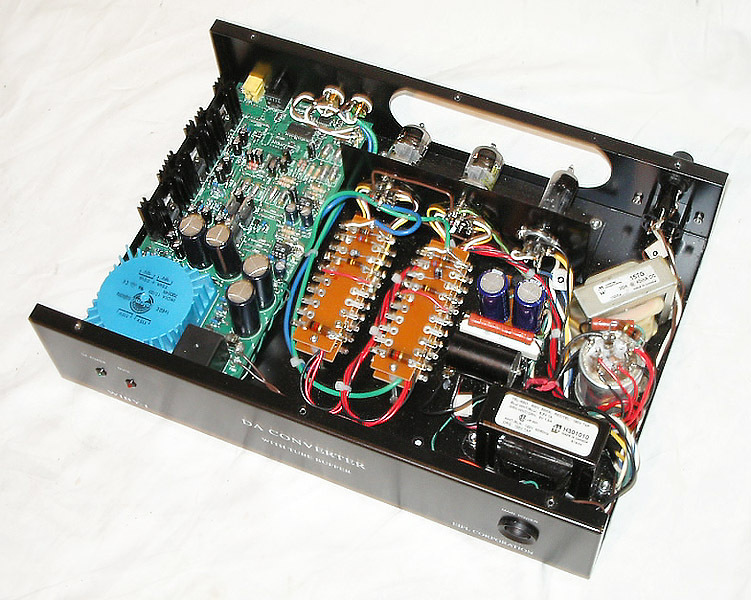 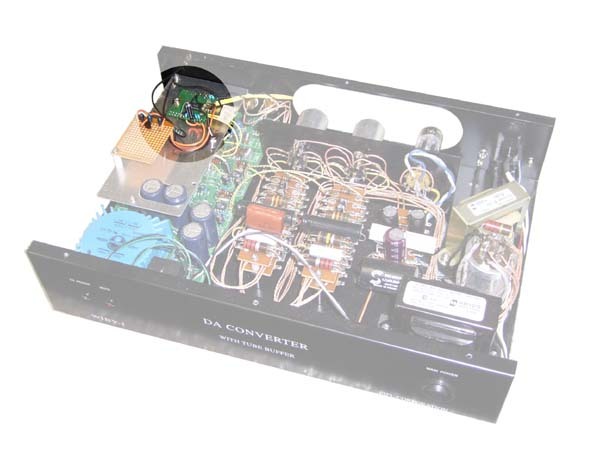 EIFL original DA converter with Tube Buffer. 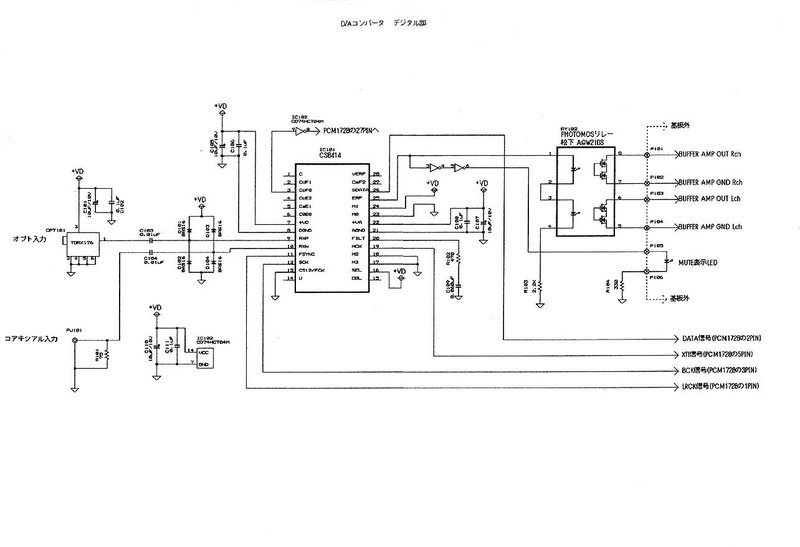 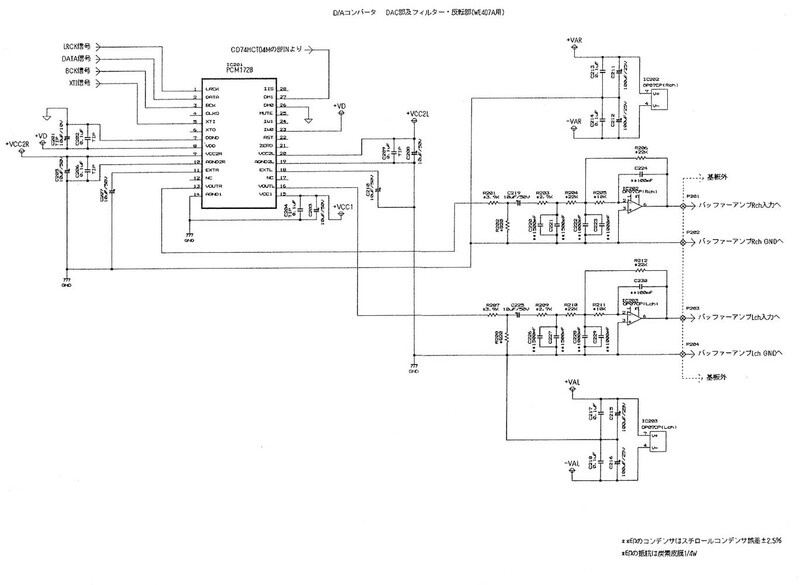 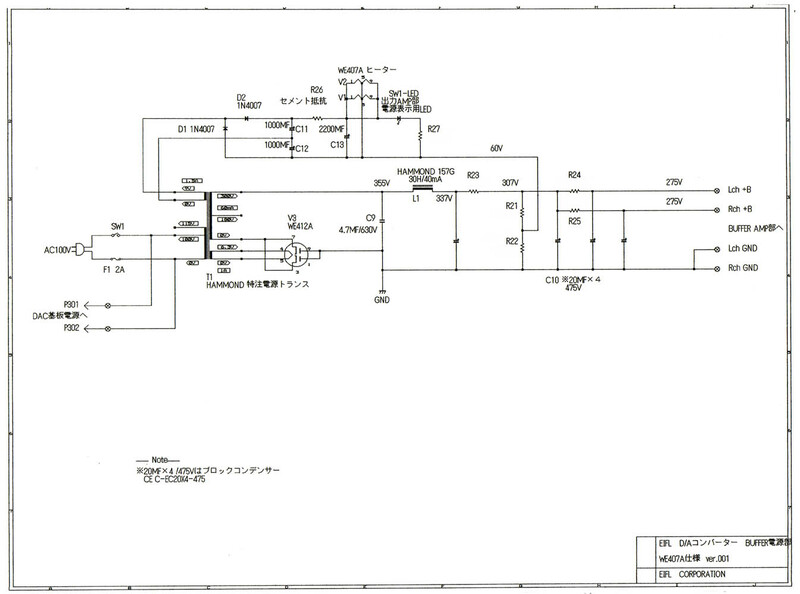 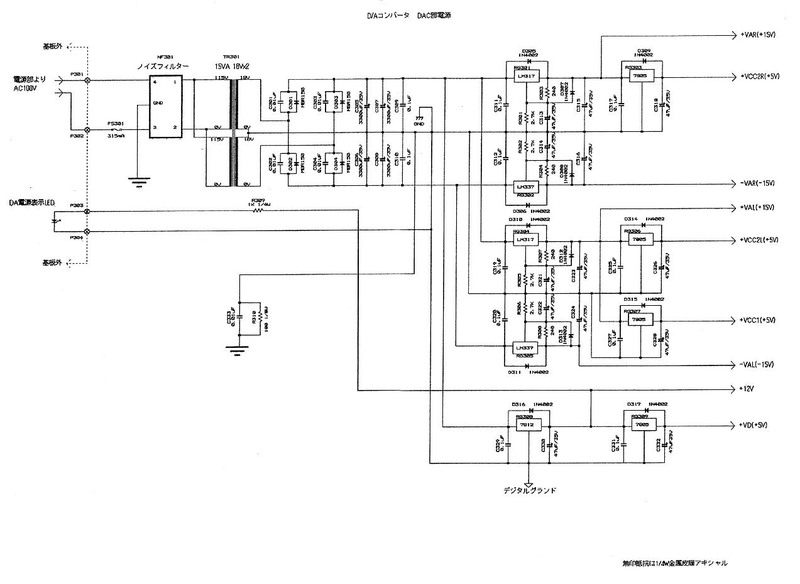 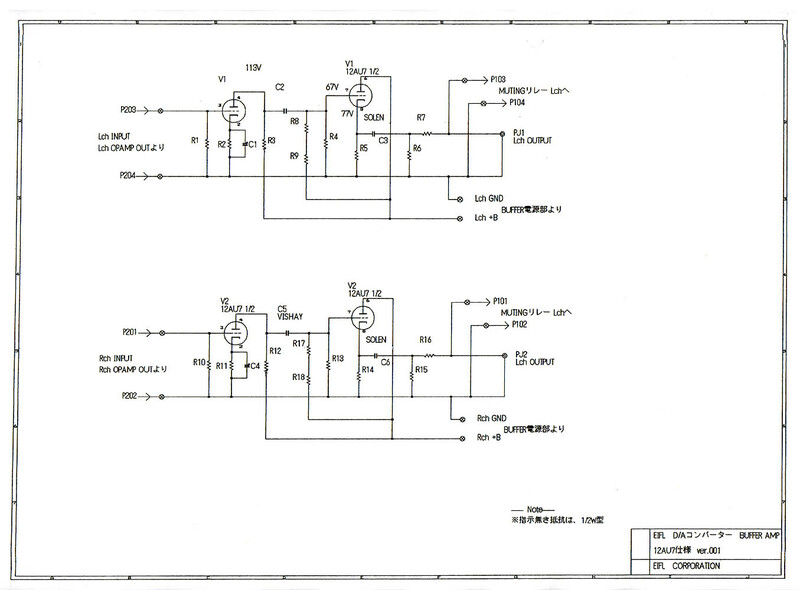 (1) WE 141 type circuit. 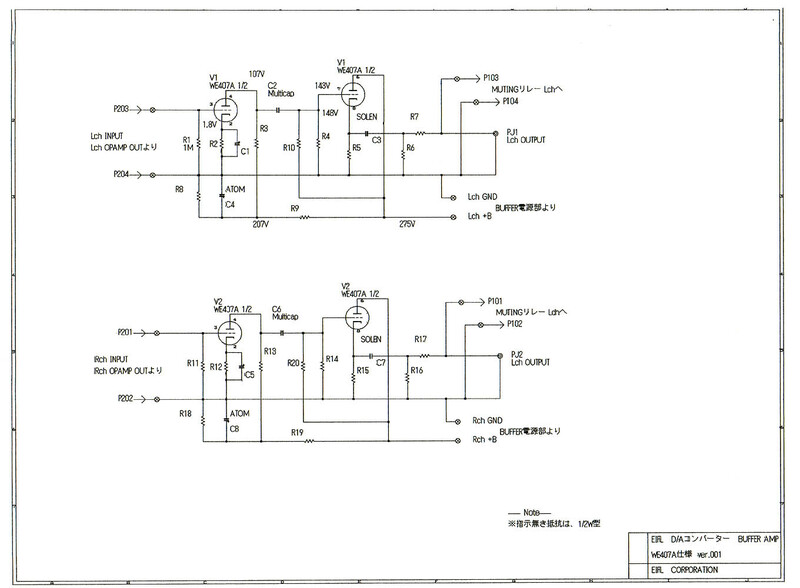 (2) WE 25 amp type plate earthed half wave rectifier. 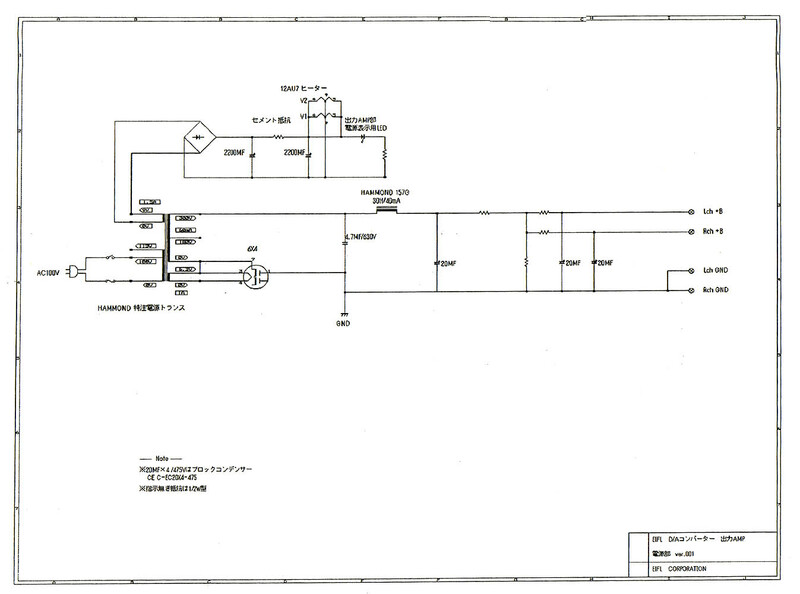 (3) Noise cut winding power trans. 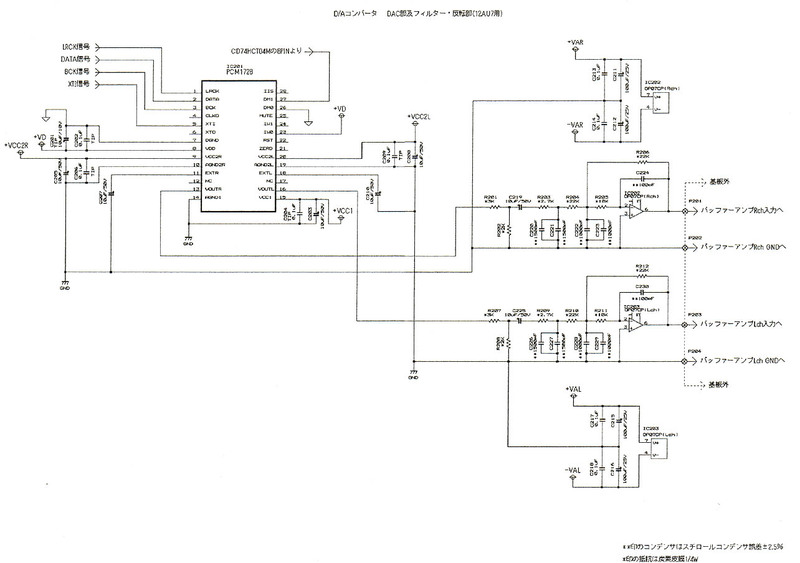 (4) Point to point wiring.